Innovation is a hot topic in the corporate world these days, but what exactly does innovation look like in practice and how do you achieve it? 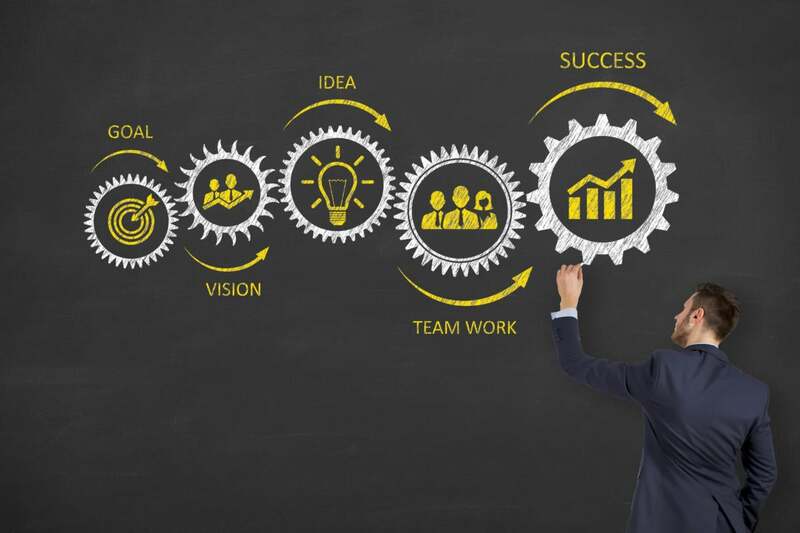 Innovation starts with corporate culture -- it needs to be fostered throughout departments, encouraged and, perhaps most importantly, followed up on. What defines innovation in the enterprise is constantly evolving and changing. In today's business climate, innovation hovers steadily around technology and keeping on top of the latest industry trends to stay relevant. Pamela Rucker, chair at the Technology Advisory Council, and CIO Advisor for Women in Leadership on the CIO Executive Council, says that innovation is moving at lightning speed, allowing business to grow and flourish in ways they never could before. "We see new markets emerging and new opportunities arising every day because we now have all the information, tools and technology we need to support our collective brainpower. What once took years to conceive and prototype can now be completed in a matter of days. Effective leaders will recognize that the age is changing, and that taking a digital, consumer-based approach will support an environment of innovation for all of their employees, both now and in the future," she says. Rucker says one of the best ways to stay innovative is to cultivate talent in your ranks -- invest in the right people to get the job done and give them the tools and resources to leverage their skills. "Hire and promote people with diverse skillsets, diverse backgrounds and diverse cultures that believe in big ideas for how your company can change the world. Give them an incubation center to promote those concepts, and you will see innovations you never considered, and you'll find ways to grow and sustain your customer base by promoting the new things you have to offer them," she says. Sri Shivananda, CTO at PayPal, says the company likes to start investing in talent before potential candidates have even graduated. With an intense internship program, PayPal gets students in the door working full-time for eight to 12 weeks. They get a good sense of the culture and what PayPal has to offer, says Shivananda, and they bring about real changes to the company and make an actual impact. Shivananda says that, unlike other businesses that put interns in a corner and pile them up with busy work, PayPal gives these students real world experience outside of the world of academia. It helps prepare them for the corporate world, and in turn, PayPal gets to benefit from their unique perspectives and discovering emerging skills that these students are learning in their undergraduate programs. And plenty of those interns come back after graduation, which means PayPal gets employees that already understand the culture of PayPal and can jump right into their careers. "In return, it's a great process of educating these interns on what it is to work for a company that is this large, with so many employees and so many different offices of the world," he says. Innovation has been spurred on by the growth of technology in the enterprise as business have been forced to grow digitally as more industries rely on technology. For some businesses, PayPal included, innovation means embracing the latest technology and not holding workers back from their preferred forms of communication. "There was a time when all the communication at companies used to be over the phone -- that was a long time ago -- and then a lot of that communication over time moved to email. And then, over time, it moved slowly to chat channels, and now the most popular chat channel is Slack." But rather than resist that change, Shivananda says PayPal has embraced it and encouraged it's use across the company. He says that, especially with millennials, mediums like Slack let them communicate how they're already used to communicating. That means, they're more likely to reach out to a colleague, ask questions and collaborate with others, thus fostering innovation. Rucker says that companies need to have a clear understanding of how technology -- especially disruptive technology -- could impact the industry down the line. "Understand how social, mobile, analytics, cloud, the internet of things, and virtual reality can be applied to your industry, and then work to beat your competition at developing solutions that your customers actually want…not those that are best for you," she says. She also calls for business units and technology units to join forces, rather than acting like separate entities, as they do at most companies. In her ideal setting, businesses would have a cohesive unit with the best and brightest business and technology leaders "working towards a common goal," she says. At PayPal, departments are given a chance once a year to show what they're working on during an internal trade show. It's set up with booths, like any other conference, and teams create presentations to demonstrate what they're working on, building or theprogress they've made on recent initiatives. It not only builds a sense of community -- it also gets teams talking about similarities in their projects, and ways they can help support one another. Companies like PayPal can often feel large, with compartmentalized groups, so giving everyone a chance to connect and see what they're working on helps bolster innovation. Innovation can also be about shaking things up in your company, and fostering future leadership. Shivananda says that, at PayPal, they introduced a program that lets 10 employees pick four teams they want to work for over the span of two years -- each completed in six month bursts. That means, an engineer might decide to go work for sales for six months, or in another region for another six months and then do a stint in tech support followed by some time in marketing. These are junior-level employees who show great promise in future leadership, he says, and as a result he says they've created more confident leaders. In fact, he says its where some of the company's most innovative and successful leaders were born. These leaders understand parts of the business they wouldn't have if they didn't spend time immersed in that unit, which gives them a unique perspective to guide the company. If you follow Rucker's advice and focus on cultivating diverse, driven and innovative teams, you'll have an endless source of innovation within your own walls. As a matter of fact, you shouldn't be innovating because it "seems cool," or "solely to keep up with competition," she says. It should be about maintaining a focus on business goals and overall strategy, driven from a clear and concise understanding of your industry and company. "Companies need to recognize that because success is a moving target, they must always be designing innovations to hit it. What worked last year, won't work as well this year. What you invested in five years ago has a short shelf life. There is no investment that lasts forever -- no one and done," says Rucker.